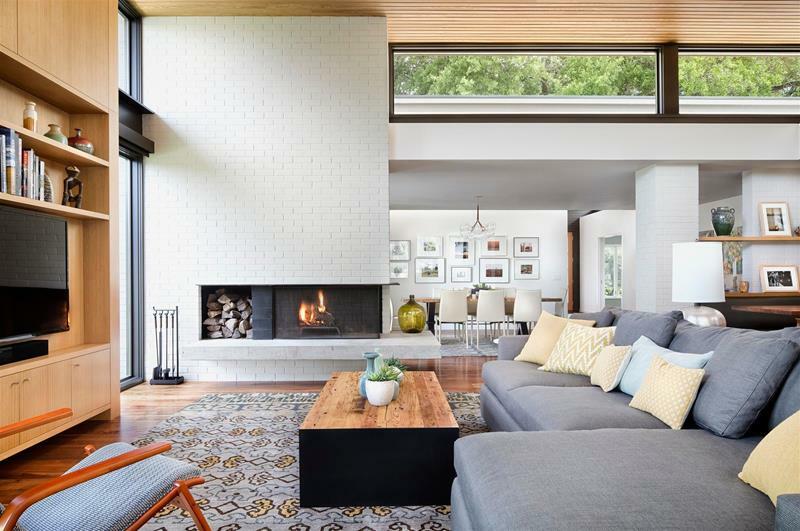 Contrast is key in a modern design, and this clean white brick accentuates the inset fireplace perfectly. 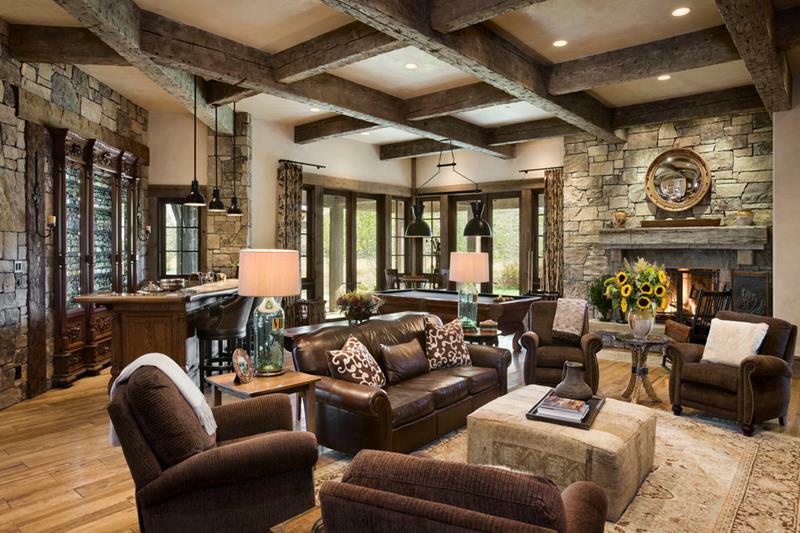 Full of masculine elegance and natural beauty, this rustic retreat displays rich woodworking details and a variety of earthy textures. Pure white walls make the pops of color in this room’s furnishings even more striking. 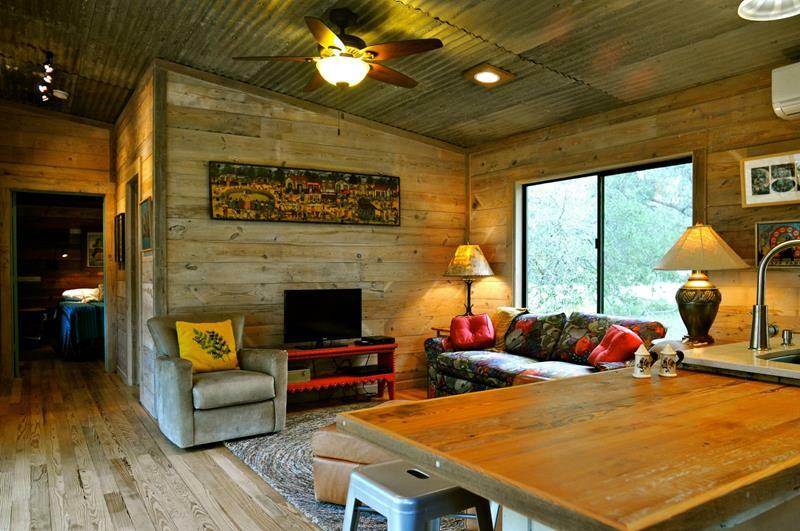 Corrugated metal sheeting affords a stylish alternative to the usual ceiling materials. 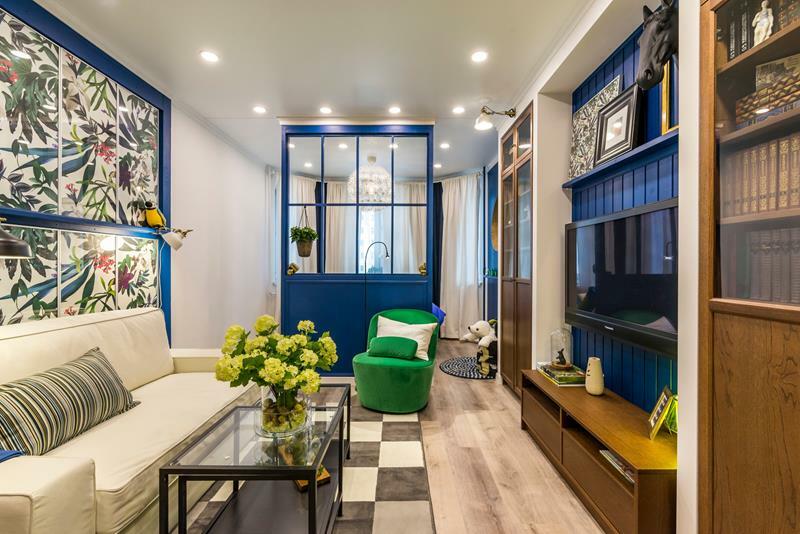 Striking pops of blue frame the walls and entertainment center of this nature-themed family room.